Camp Cyclone is back!! Porter-Gaud Auxiliary team offers an amazing variety of engaging Summer Camps for the Charleston Community. See the descriptions below to find out what we offer. Click the register now link to add your participants. ***Please use a computer to register. ***Camp Cyclone is excited to bring in FLIK Catering Services and full lunches all Summer! If your child is enrolled in an all-day camp or enrolled in both a morning and afternoon camp a full lunch and coverage will be provided! You can also purchase coverage and a full lunch from 12-1pm separately if needed. Head Athletic Trainer for Porter-Gaud School, Lauren Frick, is offering Heartsaver First Aid Certification with CPR and AED. Heartsaver CPR AED is a video-based, instructor-led course that teaches adult and child CPR and AED use, infant CPR, and how to relieve choking in adults and children (with option for infants). This course teaches skills with the AHA’s research-proven practice-while-watching technique, which allows instructors to observe the students, provide feedback, and guide the students’ learning of skills. 9am-3pm, Wendell Center and Fishburne Gym. The Porter-Gaud coaching staff is offering a camp for upcoming 6th-11th Graders. We have both gyms and participants will be separated by age and ability. Join and enhance your fundamentals, techniques and overall ability. This is a camp that will help you reach the next level. The coaches will work with you individually and in groups. 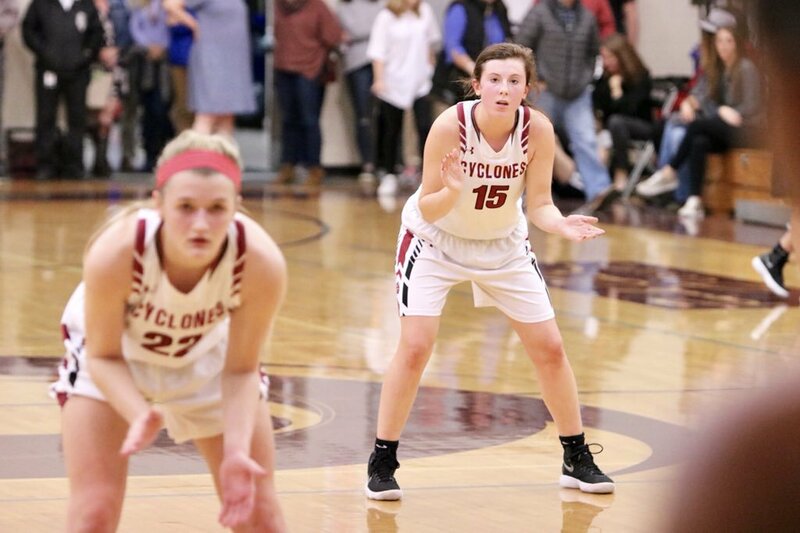 There will be highly competitive games throughout the week that will allow players to sharpen their on-court decision making and productivity. Join us to learn these necessary skills to develop your game and become an asset to your Varsity Team. Back by popular demand is one of the most successful PG Camps in history. Students will have an opportunity to tour some of Charleston's most exciting and fun places. Enjoy cruising on a water taxi to the Yorktown while watching dolphins, ripping down the slides at Splash Zone, or creating your own unique works of art! It's time to join Ms. Baran and Ms. Howard and come "Out and About"
This 3 day camp is a great way to start your summer vacation. ALL admission costs and transportation to and from Porter-Gaud included!! *Full Lunch is included everyday!! Kevin Jackson designed this camp for the serious player looking to improve his/her skills and fit tactics. They offer training in the skills and techniques used in both outdoor and (Futsal) Indoor Soccer. This camp is designed for the serious player looking to improve his/her skills and fit tactics. There are many opportunities to learn and improve your soccer skills during the summer, but there are few that can offer both indoor and outdoor facilities. Jackson Soccer Development/Elite Futsal camp is unique because we offer training in the skills and techniques used in both outdoor and (futsal) indoor soccer. The first part of the session will be devoted to the outdoor game. Campers will be learning technical and tactical elements of the game individually and as a team, eventually progressing into small sided drills and game simulating matches. Once play moves inside, athletes will focus on futsal, the only form of indoor soccer that is recognized world-wide. This area of the camp will work on individual foot skills, fast/accurate passing, movement off the ball, defending and attacking in one-on-one situations, and learning to read to game as it is played at a very fast pace. Appropriate clothing, shin guards, cleats (for outside) and indoor soccer shoes/sneakers (for futsal) are required. Bring a soccer ball, and water bottle. Learn all about photography in these comprehensive afternoon workshops. Instruction will include the fundamentals, the language, and the history of this powerful medium. Campers will be taken on site to some of Charlestons most historic spots for photo opportunities! As a former Parson's Instructor and professional photographer, I will give your child all the basic knowledge to work the camera, such as depth of field, aperture, shutter speed, and composition. Assignments (portraits, documentary photography, landscapes, self portraits) will be given each afternoon for review the next day. Finally, we will move into the "darkroom" (ie photoshop) for the last two days. No prior knowledge needed. This Program is back by popular demand! Prepare to be astounded by the fantastic world of Science. This program will educate and captivate on the wonders of the world. 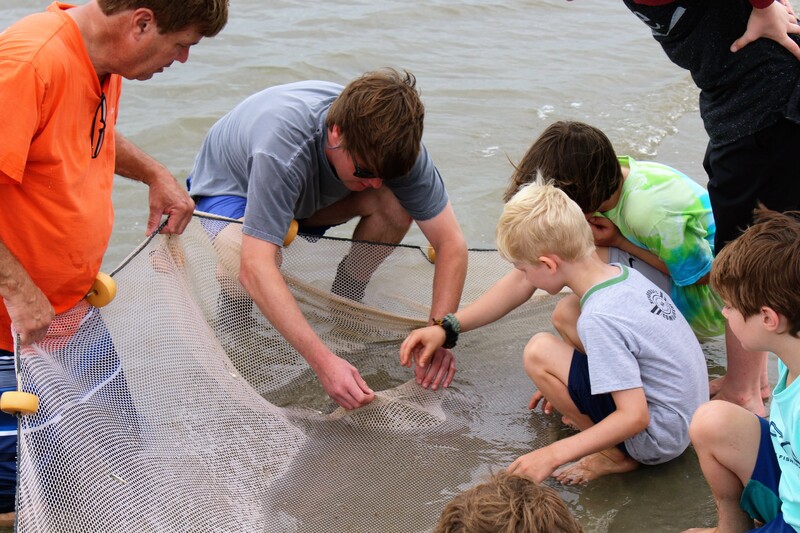 This curriculum will be hands on with activities and include a tour of the Science Exhibit downtown and Seine Fishing at the beach on Sullivans Island! Summer is a time for lots of fun! So Super Summer Science campers will be exploring and discovering science through many enjoyable activities in this camp. Be ready to cool off when we make snow, go back in history to make fossils, make rainbows in glasses, shoot rockets with Alka Seltzer, erupt volcanoes, and many more activities. Come join us for some super science fun and learning! The Carolina Soccer Centers provides a comprehensive teaching and learning environment for young players through repetition, correct technique and FUN soccer game related exercises. All participants will be challenged and motivated each day by our enthusiastic coaching staff. Full Lunch included everyday for Full-Day Campers! This Full-Day Sessions will run from 8:30am - 4pm Monday - Thursday of the scheduled week, and the Half-Day Sessions will run from 8:30AM - 12 PM, with Friday being a half-day for all campers. 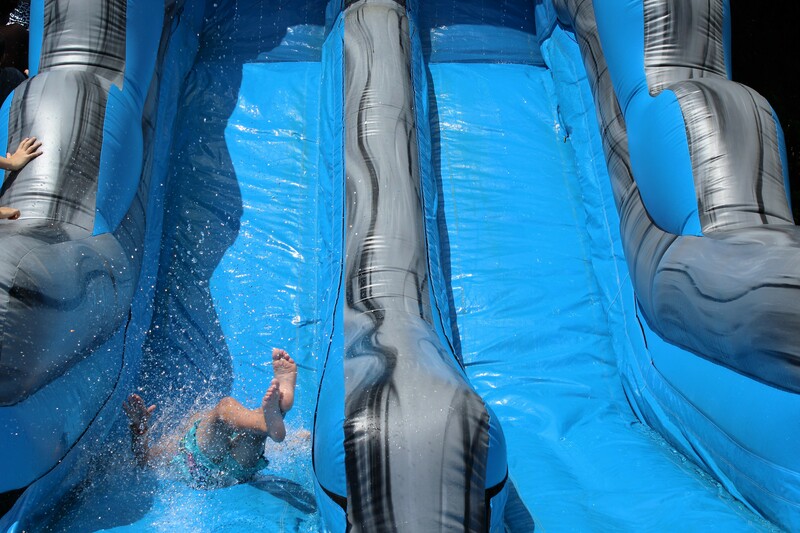 Full Lunch, Jersey, Soccer Ball and Waterslide Included!! Surf's Up! 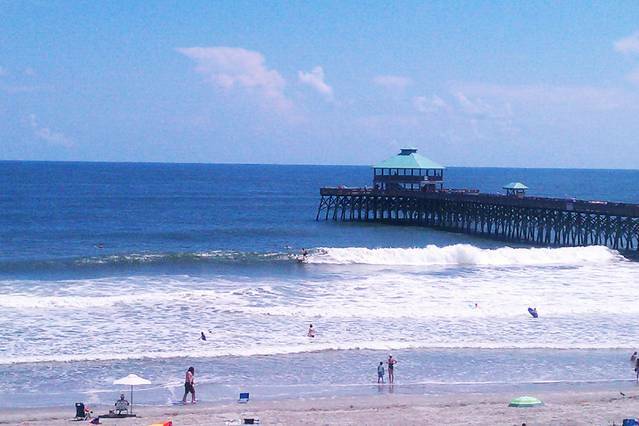 Join the team at Folly Beach with Surfing Guru Gretchen Tate. This camp will meet at Porter-Gaud, transportation and Surf Boards will be provided! Don't miss this cool opportunity to learn the basics or advance your current surfing prowess. This is one of the most fun camps we offer all Summer, and space is limited to 12 participants. Gretchen Tate will provide all of the education and direction you will need to develop your surfing ability. If you are enrolled in Annie Camp from 1-4pm we will have free coverage from 12-1pm and a Full Lunch! Campers can also meet at Folly Beach or get picked up there if preferred. Please make sure your camper has swimming experience. VeryVera is back by popular demand! Vera Stewart’s love of teaching started when she graduated from the University of Georgia in 1974 with a degree in Home Economics Education. It continued through a successful catering and mail order career when in 2004, VeryVera Cooking Camp was founded. 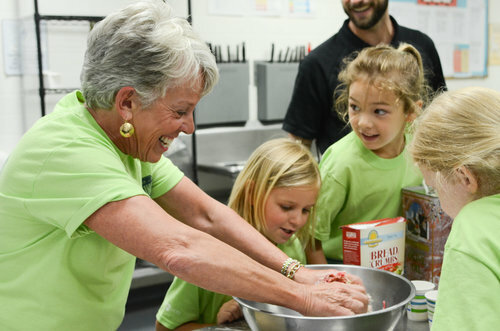 For 14 years, VeryVera Cooking Camp has provided a unique summer camp experience for children ages 6-14 in Augusta, GA. We launched our first franchise programs in summer 2017, and in 2018 we will have locations in Augusta, GA, Aiken, SC, Macon, GA, Indianapolis, IN, and Charleston, SC. Bricks 4 Kidz is a STEAM-enrichment program that uses LEGO® Bricks, Duplo®, and robotics materials. Our programs create an interactive and dynamic environment where children learn, build, and play together under the direction of our Master Builders (Instructors) and have a blast in the process! Join us at Porter-Gaud this summer for TONS of FUN!!! Each day of camp offers themed robotics builds from our Space & Star Wars Curriculums (in addition to a variety of our favorite B4K models), creative free build and LEGO® group play, STEAM-oriented challenges & fun, games & activities, snack & drink, crafts, and more! We learn, we build, we play...with LEGO® Bricks. Your child will love our Creative Coding Camp and you will be investing in their future as they learn vital 21st century skills. They will learn how to code using a variety of cutting-edge technologies and they will also explore the creative side of computing, by creating 3D worlds, 2D animation and exploring how Virtual Reality will play a part in their lives in the future. They will learn on the latest Windows PCs with Nvidia Graphics cards and use the latest Virtual Reality headsets. They will explore coding and world creation in Minecraft, Kodu and Unity. The week will end with a GameJam competition where they will create a game in a team of 3! Not only will they learn to Code, they will also gain skills in problem solving, creativity and team-working! ** Full Lunch included everyday! Four-Five Major numbers from Annie, Stage Terminology, Stage Presence, Singing and Acting lessons. At the end of week there will be a mini Show for all the parents! If you are enrolled in VeryVera, Bricks 4 Kids or Surf's Up in the morning we will have free coverage from 12-1pm and a Full Lunch! Artful Antics offers creative art-making for rising 1st-3rd grade students. Campers will have fun with new friends as they create unique works of art and explore their creative sides! Campers will have daily activities and projects that include stained glass, tie dye, clay, and much more! Each week of camp will end with a Friday Fun Finale, where parents and family members will be invited to join us for our student exhibition! *If you are enrolled in Community and Leadership Workshop in the afternoon, you will have free coverage from 12-1pm and a Full Lunch! 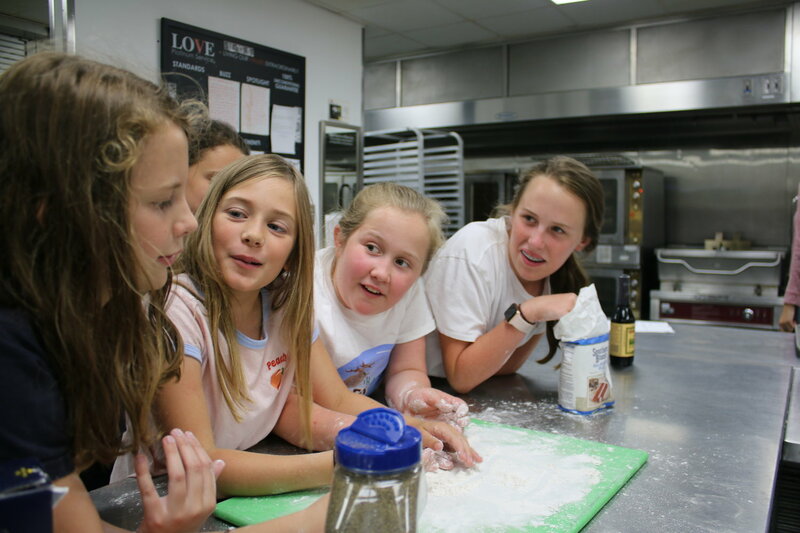 VeryVera Cooking Campers spend five days learning about food, getting hands-on in the kitchen, packaging their treats, creating clever arts and crafts, and learning entrepreneurship in the process. Practicing and understanding the importance of etiquette and teamwork are incorporated into the daily activities. If you are enrolled in VeryVera Cooking Camp in the morning, you will get free coverage from 12-1pm and a Full Lunch!! Porter Gaud Head Athletic Trainer/Performance Enhancement Specialist Lauren Frick, will be running a Performance Enhancement camp from 9am-12pm the week of 6/24-6/28. This camp is designed to help your child become a more explosive athlete and reach all their sports performance goals! The focus will be on biomechanics to get our bodies moving properly in the areas of strength, speed, agility, and acceleration. We will perform a dynamic warm up, speed testing, station drills focusing on different movements and plyometrics, introduce strength movements, and as always, end with games and competitions. Program is designed for children up to 12 years of age. Train with the best, this PG Volleyball Team with Coach Crouch has been a dynasty over the past decade. This camp will focus on fundamentals, including more specific position training. Individual training will be integrated into team drills and game-like situations. This camp will be competitive and a great way to get ready for your upcoming volleyball season. This summer USA Chess is offering our exciting and entertaining chess camp at more than 100 locations nationwide. USA Chess is the largest premier chess camp organizer for children in the United States. The staff is comprised of the finest children’s chess instructors in North America. Registration options include mornings, afternoons and all day sessions. Campers experience chess instruction and play in a fun­ filled environment designed to improve their skills whether they are interested in casual or competitive chess. Tuition includes trophy, chess set and much more. ***Please visit: www.chesscamp.com for program details. *If you are enrolled in Surf's Up in the morning you will get free coverage from 12-1pm and a Full Lunch!! This camp's goals are to develop the girls basketball program as a whole. This includes Individual skills and goals, team skills and goals and general knowledge of expectations. We are striving to gain consistency in all aspects of basketball fundamentals. Student Athletes will be instructed and coached by Jen Payes, John Pearson, and their staff. Artful Antics offers creative art-making for rising 1st-3rd grade students. Campers will have fun with new friends as they create unique works of art and explore their creative sides! Campers will have daily activities and projects that include stained glass, tie dye, clay, and much more! Each week of camp will end with a Friday Fun Finale, where parents and family members will be invited to join us for our student exhibition. Campers can also meet at Folly Beach or get picked up there if preferred. *If you are enrolled in Artful Antics of Bricks 4 Kids in the afternoon you will get free coverage from 12-1pm and a Full Lunch! Please make sure campers have prior swimming experience. In this week-long camp using Lego Design Software and Minecraft, students will learn about the backstage of the theatre and get a chance to build a show set on Lego Design Software and Minecraft. They will see all the work that goes into creating different settings, the importance of props, and all different types of costuming. Campers will also design and build a "mini" set and costume design for a show. This camp includes a 'Behind the Scenes Trip' to a major theater downtown in Charleston!! The Charleston Soccer Centers provides a comprehensive teaching and learning environment for young players through repetition, correct technique and FUN soccer game related exercises. All participants will be challenged and motivated each day by our enthusiastic coaching staff. Full Lunch included everyday for Full Day Campers! This Full-Day Sessions will run from 8:30am-4pm Monday - Thursday of the scheduled week, and the Half-Day Sessions will run from 8:30am-12pm. With Friday being a half-day for all campers. Lunch, a Jersey, Soccer Ball and Waterslide Included!! Learn all about photography in these comprehensive afternoon workshops. Instruction will include the fundamentals, the language, and the history of this powerful medium. Campers will travel two of the days on site to some of Charleston's most historic photo opportunities! As a former Parson's Instructor and professional photographer, I will give your child all the basic knowledge to work the camera, such as depth of field, aperture, shutter speed, and composition. Assignments (portraits, documentary photography, landscapes, self portraits) will be given each afternoon for review the next day. Finally, we will move into the "darkroom" (ie photoshop) for the last two days. No prior knowledge needed. *If you are enrolled in Super Sleuths or Bricks 4 Kids in the afternoon you will get free coverage from 12-1pm and a Full Lunch!! The football season is right around the corner. This camp is for new football players on the bantam, junior varsity, or varsity level or just those that want to be better prepared for the upcoming season. Campers will be exposed to every position on the field and the skills to be play it. Through this experienced players will develop a more complete understanding of the game and new players can decide which position is best for them to play. In addition, campers will learn how to tackle safely, the rules of the game, basic formations, and alignments as taught on the varsity level. Of course, this camp will not require any individual equipment or full contact. This camp is geared toward first year players or those who are playing contact football and want to get a jump on the season. Join Coach Al Wilson in the fitness room after for some football-oriented workouts! If you are enrolled in Super Sleuths or Bricks 4 Kids in the afternoon you will get free coverage from 12-1pm and a Full Lunch!! If you are enrolled in Summer Snapshot or Design the Runway in the morning you will get free coverage from 12-1pm and a Full Lunch!! Khris Middleton, former Porter-Gaud star and current All-Star for the Milwaukee Bucks, will host his 7th Annual Khris Middleton Skills Academy at his alma mater, Porter-Gaud School!! The two-day basketball camp for girls and boys ages 8 - 17 will focus on basketball fundamentals such as ball handling, passing, teamwork, and shooting. Khris and family will be a huge part of all activities! The Academy is for children of all skill levels! Campers will receive lunch, beverages, and prizes from corporate sponsors such as Nike and the Milwaukee Bucks. 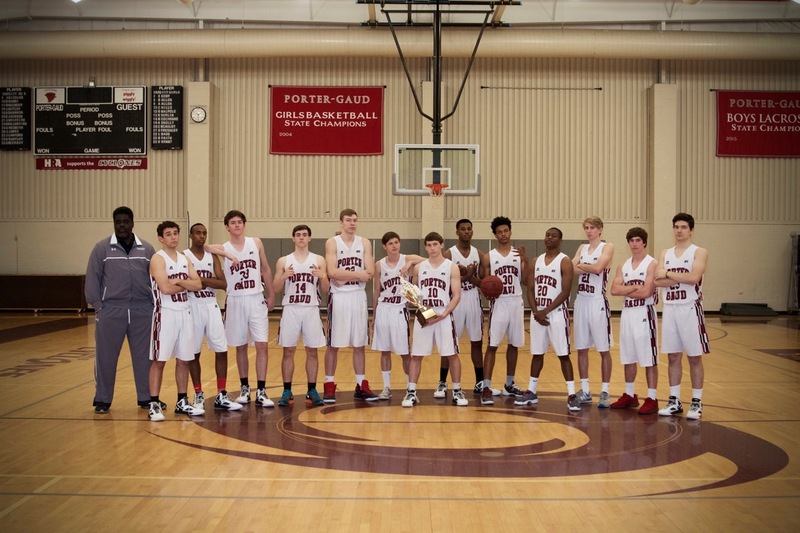 Instructors: John Pearson, Jr., Porter-Gaud Varsity Basketball Coach and His Coaching Staff, and Khris Middleton and his staff, many are professional basketball players themselves. Chuck Driesell - Former Coach at James Madison, University of Maryland and The Citadel, Lieutenant in the Navy and son of Hall of Famer "Lefty" Driesell! Coach Chuck Driesell returns to South Carolina just once a year to run one of the most complete and beneficial basketball camps in the state! The goal of Coach Driesell’s camp is to help develop a well-rounded, complete basketball player. Our philosophy is to teach the fundamentals of the game along with a proper attitude toward it. We then teach them to be able to incorporate that into a team concept. We work on building confidence, teamwork, effort and sportsmanship, all of which are important to success both on and off the court. 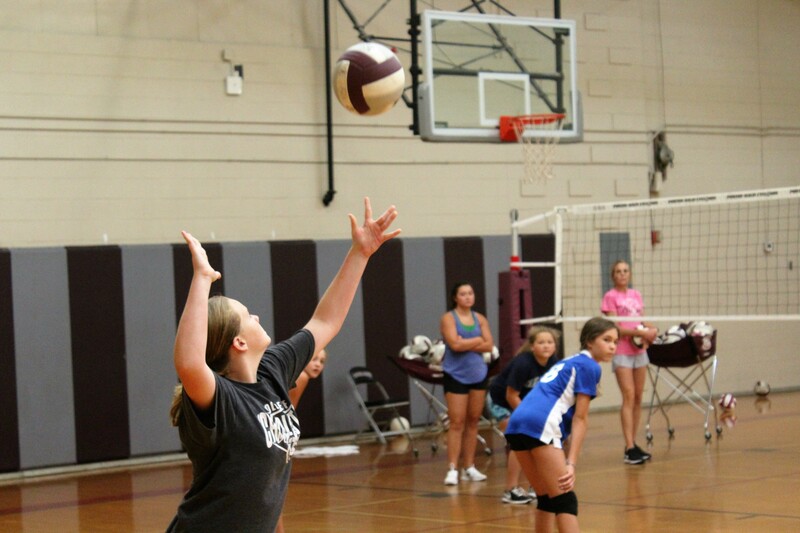 Campers range from beginners to accomplished players and are grouped accordingly. The ratio is 10:1. The camp includes a T-shirt and evaluation at the end of camp. If you want to learn the game of basketball and have fun with one of the best coaches in America then this is the camp for you! World renowned Ballerina Lindy Mandradjieff will give your child an exhilarating summer with our Classical and Contemporary Creation Camp! These week-long sessions will challenge students academically and physically as they are immersed in the choreographic process. 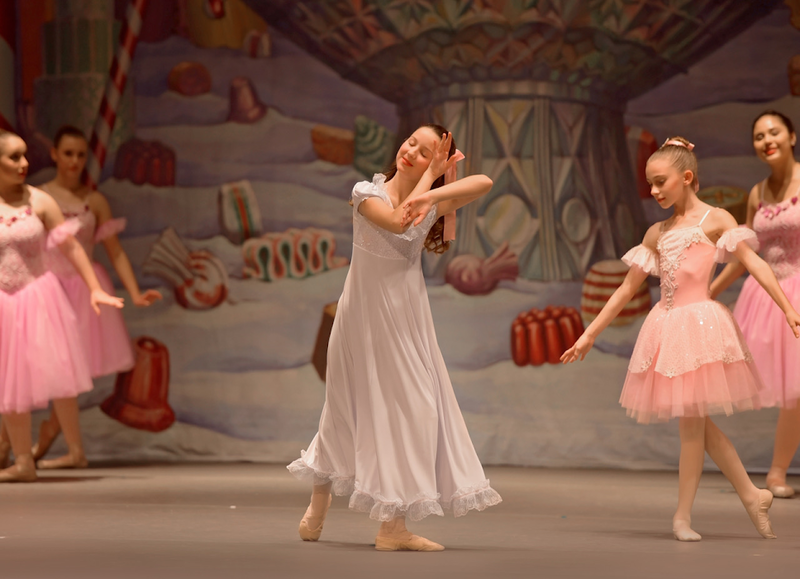 Each day will include age-appropriate technique classes in classical ballet and contemporary dance, as well as individual and group improvisation with the intent of extracting inspiration from non-traditional sources while exploring new movement patterns. During the week students will be introduced to the principals of choreography through exciting and thought-provoking composition games and exercises, which will then become the building blocks of their own choreography. The workshop culminates in a performance of their original group piece followed by a discussion on the composition process. Teaching spatial coordination, creative problem solving and musicality, this camp is perfect for the eager, imaginative mind! *If you are enrolled in Bricks 4 Kids or Palmetto Clayground you will get free coverage from 12-1 and a Full Lunch! *If you are taking Classical Ballet and Contemporary Creation or Who Wants to be a Rockstar in the afternoon you get free coverage from 12-1pm and a Full Lunch! *If you are enrolled in Bricks 4 Kids, Palmetto Clayground, or Superheroes and Princesses in the morning you will get free coverage from 12-1pm and a Full Lunch! Do you have what it takes to save the world? Do you have the sparkle to rule the world? Train to be the superhero or princess you were meant to be! Save the world from evil-doers everywhere in this interactive and high energy camp. The training combines cooperative games, team building activities, literature, educational enrichment activities, and craft projects to ensure your powers will be supreme. *If you are enrolled in Who Wants to be a Rockstar you will get free coverage from 12-1pm and a Full Lunch! In a galaxy far, far away… This camp will explore science and art inspired by the fictional travels through space. We will grow space crystals, design shoes to walk best on a world of sand, and explore sound in space! We will train as Force-masters do; testing our focus and reflexes, create lightning, and harness invisible forces. We will even try to build our own hovercraft to use for surface explorations! Our space art will include a galaxy acrylic pour canvas, a wise force-master plate, a glass fusion “space crystals” bowl, and more! *If you are enrolled in VeryVera Cooking Camp or Lacrosse in the morning you will get full coverage from 12-1pm and a Full Lunch!! 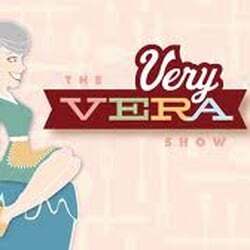 Very Vera is back by popular demand! Vera Stewart’s love of teaching started when she graduated from the University of Georgia in 1974 with a degree in Home Economics Education. It continued through a successful catering and mail order career when in 2004, VeryVera Cooking Camp was founded. For 14 years, VeryVera Cooking Camp has provided a unique summer camp experience for children ages 6-14 in Augusta, GA. We launched our first franchise programs in summer 2017, and in 2018 we will have locations in Augusta, GA, Aiken, SC, Macon, GA, Indianapolis, IN, and Charleston, SC. *If your child is enrolled in Bricks 4 Kids or Cheerleading in the afternoon you will get free coverage from 12-1pm and a Full Lunch!! Best of Broadway offers a variety of different scenes from Broadway's greatest hits. Campers will have choice in which hits they would like to learn. Participants will show off their skills learning dance steps, getting singing lessons, learning about stage presence and much more! Each student will get a solo and at the end of the week, and a mini Show for the parents on Friday! Porter-Gaud Lacrosse Coach Jessica Hanzsche and Former Henry H Wells Middle School Coach, Drew Stubbs are running a Lax program that's perfect for your budding Lacrosse player. This camp will teach the basics and fundamentals including stick handling, throwing and catching, shooting, rules and game play. Participants will have a lot of fun developing their skills to become an asset to any Lax team. This is one of the fastest growing sports in America, don't miss your opportunity score with this Summer Camp. *If you are enrolled in Bricks 4 Kids or Cheerleading in the afternoon you will get free coverage from 12-1pm and a Full Lunch!! Porter-Gaud Cheerleading Coach Jessica Hanzsche and College of Charleston Captain Camryn Snell run a Summer Camp for your little Cheerleading enthusiast. In this program your child will learn the proper techniques and fundamentals to help kick start a cheering future. Camp will be focused around fun, instruction and technique development. Our instructors bring a wealth of Cheer knowledge along with captivating personalities to the PG campus. This camp is excellent for girls interested in participating in Cheerleading or preparing for the upcoming season. Put on your detective hats and come join the fun! Rising first graders will become detectives for a week. Using their observation skills, students will discover the “mysteries” of Porter-Gaud. Students will discover the Porter-Gaud campus such as the Lower School playground, the cafeteria, the first grade building, the auditorium, the fine arts building, and much more. Students will work with two Porter-Gaud first grade teachers who will introduce them to a variety of daily routines and expectations to ensure a smooth transition. There will be a concentration of reading and math activities involving mysteries. The academics will help jump start first grade skills. **Don't forget to register for Ready, Set Play which begins at 11am-3pm right after Jump Start. The kids will need to get some energy out and its taught by our very own Lower School P.E. Instructor Ms. Englehart. If you are enrolled in Ready, Set, Play or Karate in the afternoon you will get a free Full Lunch at 12!! All Porter-Gaud First Grade Teachers! Jump Start into second grade with Mrs. Sallee! We will spend five days exploring what life will be like as a second grader. Students that participate in these programs will have an advantage. Connecting with your teachers and fellow classmates after a long Summer is extremely beneficial. Students will be more prepared and organized for the 2nd grade year ahead. Jump Start will include reading and math skills, writing, and a lot of fun! Leap with both feet and get an early start to your year in second grade. This camp is offered to Porter-Gaud rising second graders. Get all geared up for the Third Grade and another great year at Porter-Gaud with Mrs. Stacy Boccabella. In this week-long camp rising 3rd grade students will have the opportunity for an advantageous start to school their year. Students will get organized with all of the classroom materials they need, be familiarized with curriculum, meet and play with fellow classmates, and get acclimated to what the life of a Porter-Gaud Third Grader is like before the school year begins. Don’t hesitate to sign up and give your child that edge he/she needs to succeed. *If you are enrolled in Ready, Set, Play, Karate, or The World of Art in Math in the afternoon you will get a free Full Lunch at 12!! This camp is offered to Porter-Gaud rising third graders. Are you ready for your final year at the Porter-Gaud Lower School? 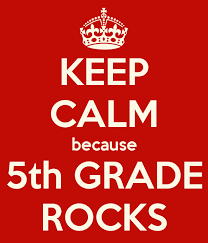 Come join your future classmates and Mrs. Leah Howard to get a leading edge on your year in the fourth grade. The jump from third to fourth can be challenging in terms of workload and curriculum. This camp is the best way to prepare your child for this transition. 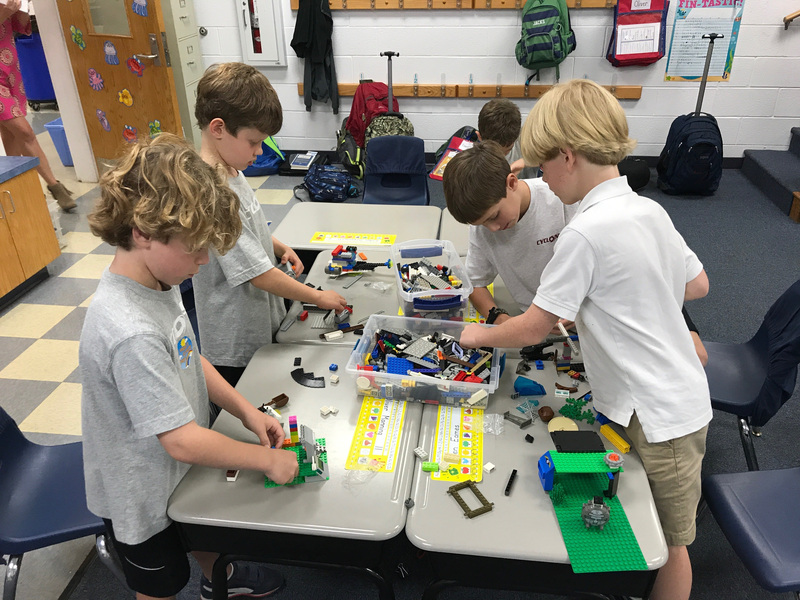 Throughout the week students will work together and with Mrs. Howard to get organized and excited for what their last year in the Lower School holds! Don’t miss out on an opportunity to lay down the foundation for prosperous academic year. This camp is offered to Porter-Gaud rising fourth graders. Did you Jump Start into your new grade and need to unwind? This program is designed for those campers that have just completed their day in Jump Start and need some fun and excitement. No couch potatoes at this camp! Ready, Set, Play is the ultimate youth games program. Soccer, basketball, and kickball are a few sports that will be offered. Unique games such as capture the objects, pin ball, and soccer tag will also be played. Play with Hula-Hoops, Limbo, and learn how to “jump the snake.” Emphasis will be on basic motor skills, teamwork, and FUN! Campers are guaranteed to go home tired each day! Shorts, t-shirts, and athletic shoes are required. This camp will begin directly after the Jump Start programs, sign up for both and pick up your child at 3:00! This camp is for rising grades K-4. Spaces are limited! Seha Karate Owner and Operator, Sensei Pettus, returns with his beginner Karate class. You will learn the basic fundamentals as well as self-defense techniques. The class will promote physical fitness and demonstrate respect for yourself and others. You will learn to practice self-control and you will have the opportunity to earn traditional belt advancement. T-shirt, Belt and Key Chain all provided! Come join us after your Jump Start program. Instructor Jenny Albright - College of Charleston Writing Professor and Lyceum tutor. Did your child get their Summer reading done...."Jump Start to 5th Grade with an Emphasis on the Summer reading book and middle school writing strategies"
*Read the summer reading book with comprehension, vocabulary & literary elements discussions. *If you are enrolled in The World of Art in Math in the afternoon you will get a free Full Lunch at 12!! Join us for a fun filled week of creating masterpieces AND sharpening your math skills. Some of our projects will involve learning about Mondrian and the works of Shel Silverstein. We will create original works of art through the use of fractions, tangrams, and patterns. This camp is purposely designed for those who are interested in art and are looking forward to exploring design and shape. Everyone will have a piece of art to bring home everyday. Don't miss your opportunity to join one of the most creative and educational camps all Summer!